Posted on June 28, 2017 at 2:44 pm. Are you ready to make a difference in the life of an FIU student? The College of Business is current accepting applications for their Mentor Program! As the deadline approaches, we encourage you to submit your application. 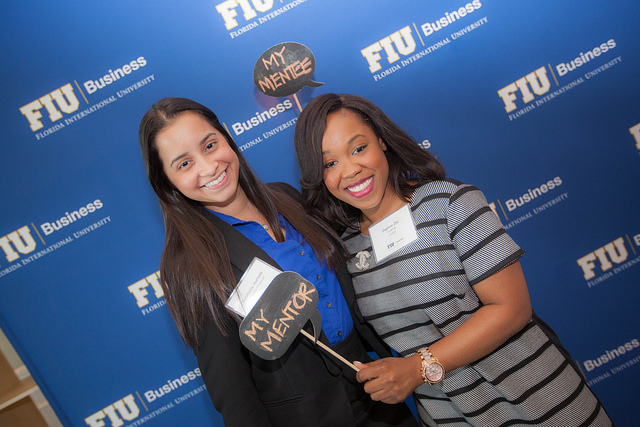 Intended to enhance classroom experience, the FIU College of Business Mentor Program connects students with leading executives for one-on-one mentoring. Mentors share their business experience and expertise, offering practical advice and leading industry insight. Students gain first-hand knowledge about their career choice, build networks and develop skills to become better professional leaders. Seize this opportunity to offer our students valuable guidance, become an active member in the community and give back to FIU. Apply today or recommend the program to a colleague. We invite you to learn more, or if you’re ready, apply now!